Even when dealing with the biggest questions in the universe, this new CBS dramedy still tries to cram in plenty more threads. As far as titles go, “God Friended Me” is one of the more efficient of the 2018 fall TV season. Everything that happens in the new CBS dramedy stems from a single, unexplained notification on the phone of Miles Finer (Brandon Michael Hall). The host of a faith-centered podcast and the son of a pastor (Joe Morton), Miles is an atheist, making him even more skeptical of this unexpected friend request. With a “rejecting of the poke” in place of a “refusal of the call,” “God Friended Me” begins with a whirlwind pilot in which everything and nothing matters all at once. It’s anchored by a likable cast, and works from an admirably high-concept premise, but for now the result is an overstuffed hodgepodge of exaggerated emotions and familiar swings at family drama. Despite Miles’ fraught relationship with his father, the first episode treats God as an ambiguous force, rather than squarely within traditional religious concepts. (Aside from a narrow friends list, all Miles can glean from the “God” Facebook profile is that he/she/it/they “likes” Nature.) That might be an effective route going forward; ideas about family, regrets, and obligation might be more compelling without getting sidelined by theological quibbles. 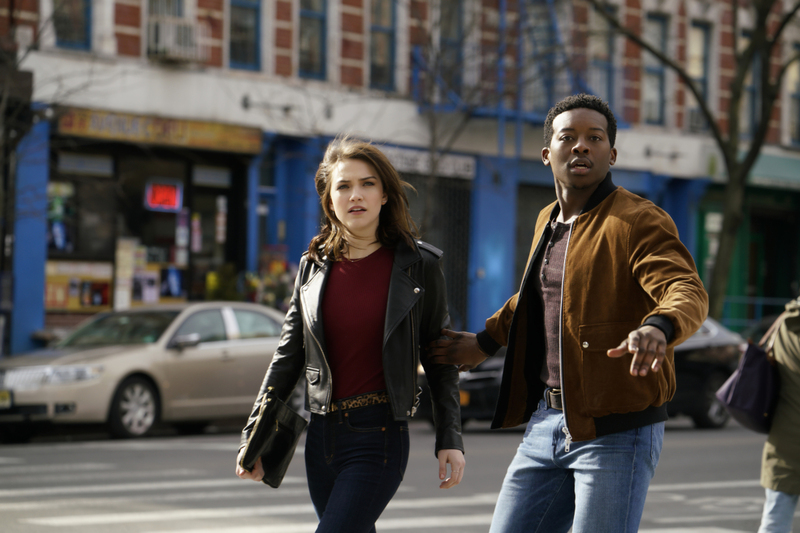 Here’s the problem with “God Friended Me”: When you’re the foil to a guiding cosmic force, it places an ungodly burden human characters’ interactions and motivations. Cara’s need for clicks becomes all encompassing. When Miles loses a key computer file, he screams to the heavens (an area that he presumably believes to be unoccupied).Rakesh’s mad scramble to find accommodations for his date is a hyperactive response to circumstance. It’s weirdly similar to the problem now faced by “9-1-1”: How do you sustain something that begins with the highest of stakes? Granted, a show called “God Friended Me” was probably never going to be a pillar of subtlety. The question of a higher power’s existence is as old as humanity, and has been proven very hard to top; there’s no need for the wild transportation mishaps or life-altering reunions unless the show holds little trust in Miles’ (and to some extent, Cara’s) underlying personal struggles. So, the pilot of “God Friended Me” throws Miles a series of explosive coincidences and builds the expectation that miracles are commonplace. Unless “God Friended Me” goes meta and examines the consequences of expecting that everything turns out all right (unlikely, considering the pilot’s tidy endings), that’s an endless loop of wish fulfillment — not the stuff that’s going to challenge an atheist’s beliefs. Still, there’s a germ of an idea here that future episodes might explore. Even though he’s on a search for the source of this mysterious friend request, Miles is charged with getting involved in the lives of strangers. To watch him wrestle with that sense of obligation could form the basis for a decent hourlong show. With its shiny, colorful exteriors and bathed-in-light church sequences, there’s a glossy sheen to much of “God Friended Me.” The test going forward is if it’s willing to dig beneath it. “God Friended Me” premieres Sunday, September 30 at 8 p.m. on CBS.